Hong Kong will join Japan in representing Asia at next year's World Rugby U20 Trophy in Brazil after winning the region's U19 title. Hong Kong beat Chinese Taipei 38-5 at the Taipei Municipal Stadium to claim the Asia Rugby U19 Championship on Tuesday. In the final match of the four-team round-robin competition, Hong Kong scored six tries to the hosts one and claimed a bonus-point victory. Toby Jurecka scored two tries while Paul Altier collected 13 points in a win that secured them the title and qualification for next year’s World Rugby U20 Trophy in Brazil. Having lost their opening match 17-13 to Korea, Hong Kong bounced back with two bonus-point victories – a 48-15 triumph over Sri Lanka preceding their emphatic win over Chinese Taipei. With Korea and Chinese Taipei also winning two matches, it was bonus points which made the difference in the end. 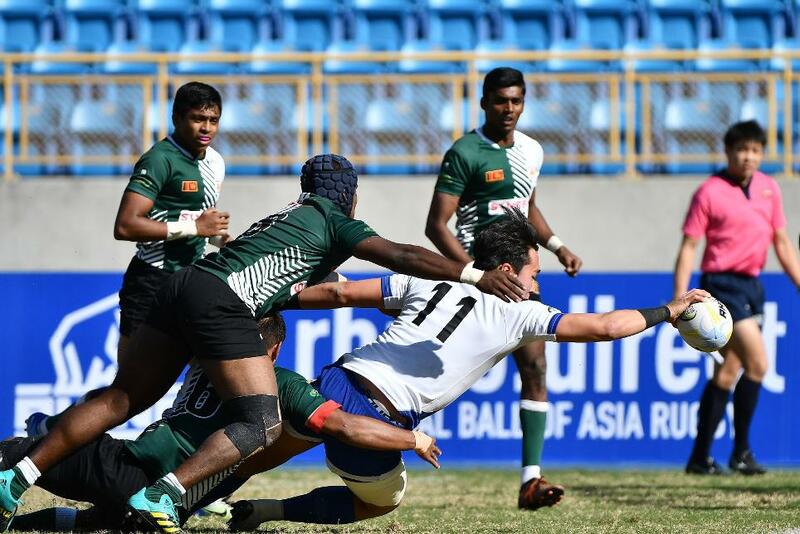 Korea finished second overall after narrowly beating Sri Lanka 29-26 with the Tuskers suffering a third defeat from three in the competition.